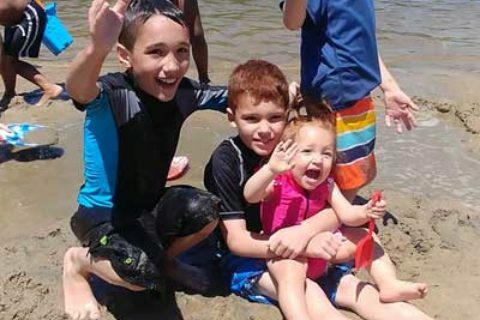 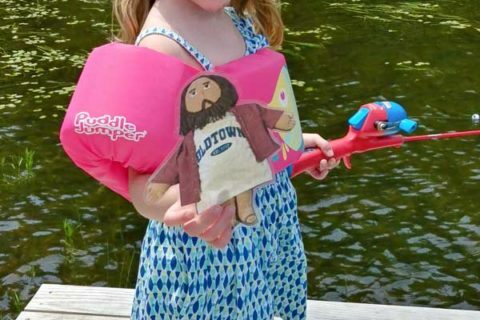 This summer we are inviting each family to take a Flat Jesus home with them. 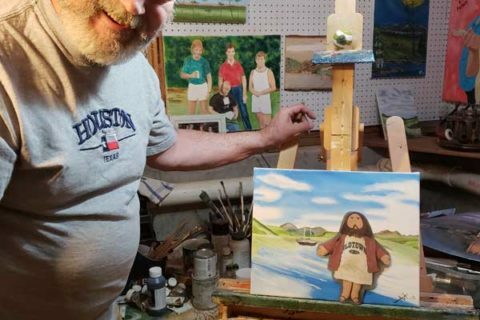 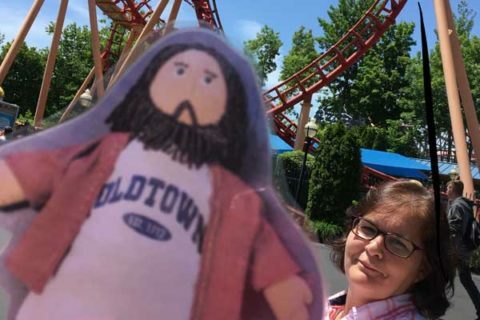 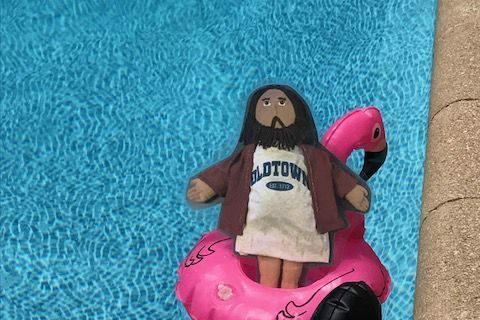 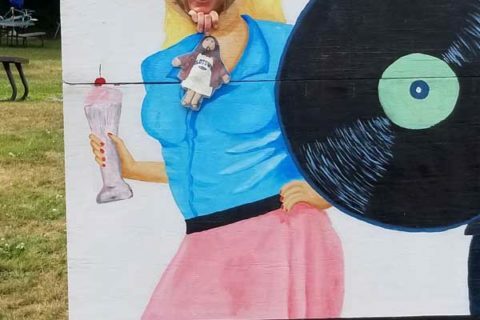 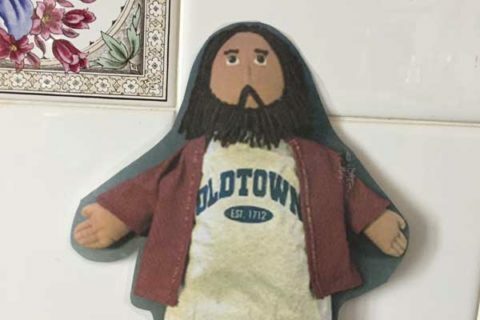 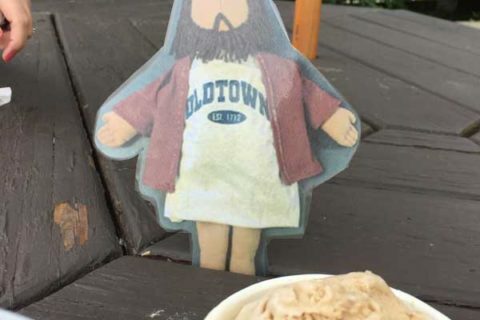 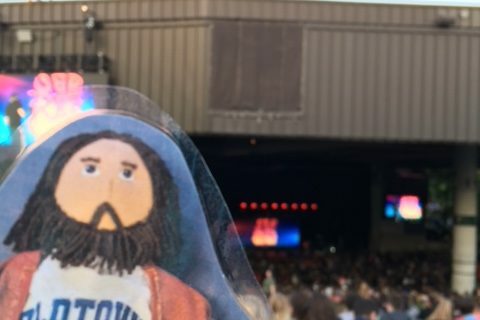 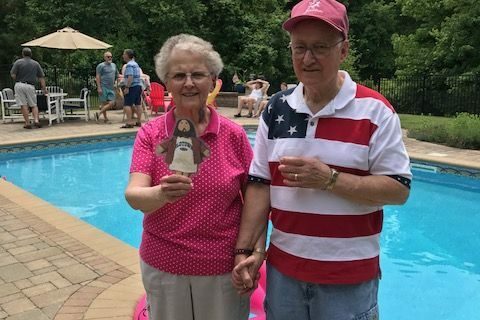 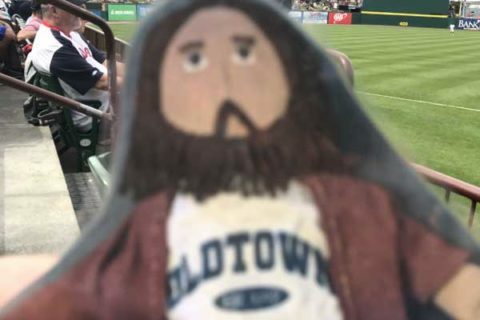 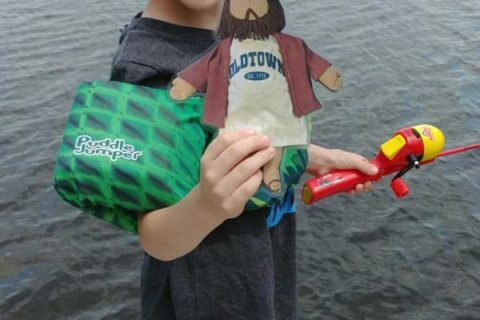 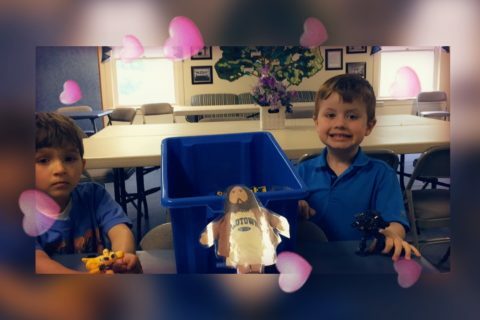 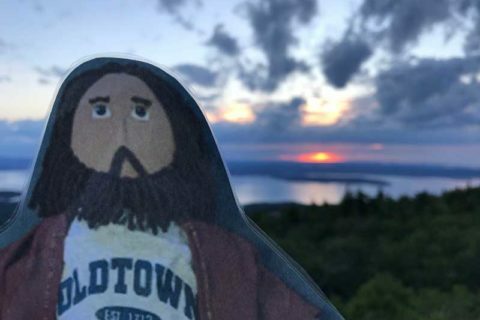 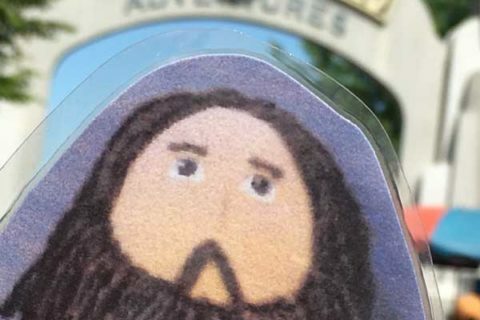 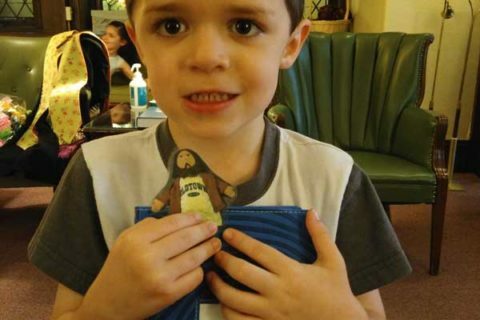 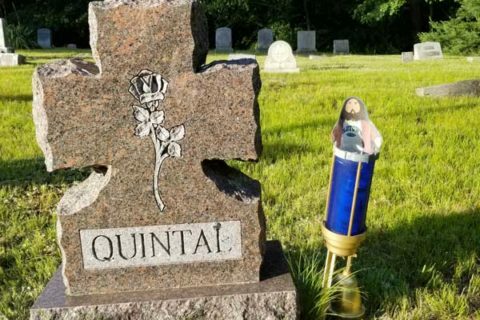 We encourage you to take your Flat Jesus with you this summer wherever you go; to the beach, or to the park, sitting around the pool, or camping, or just playing in your backyard. 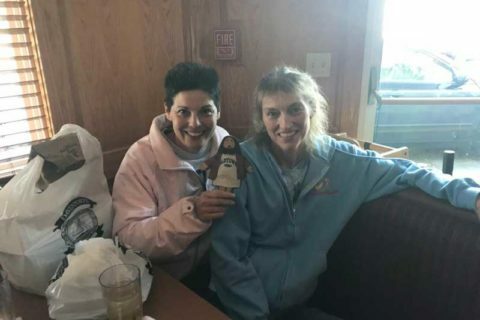 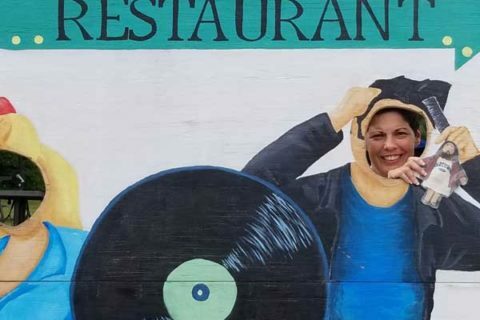 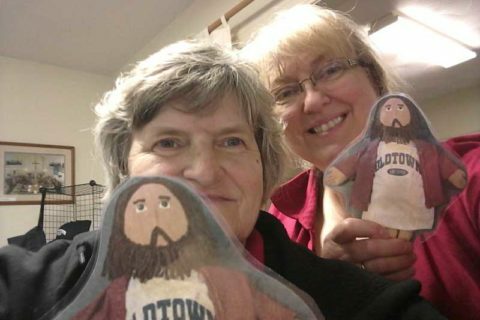 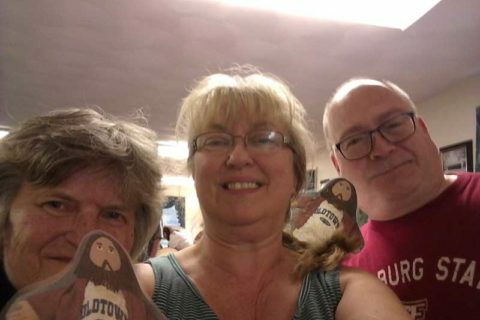 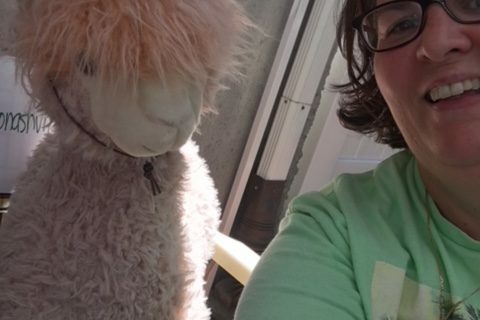 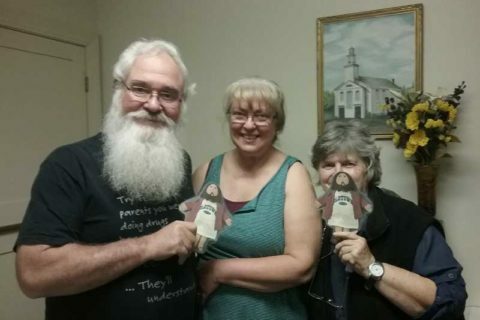 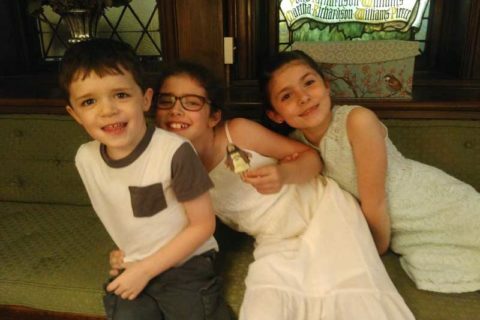 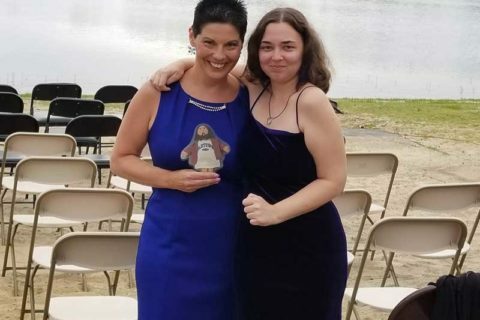 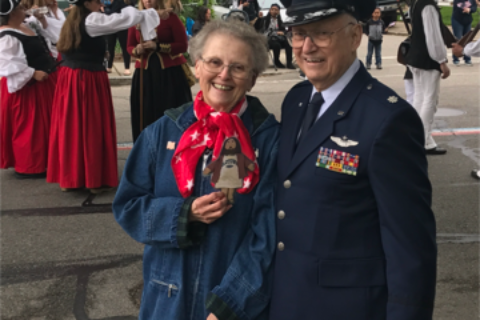 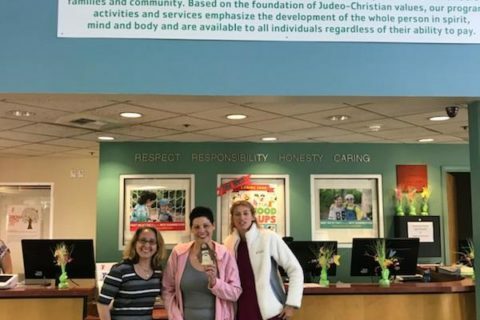 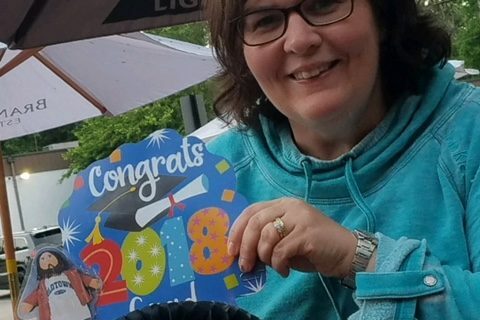 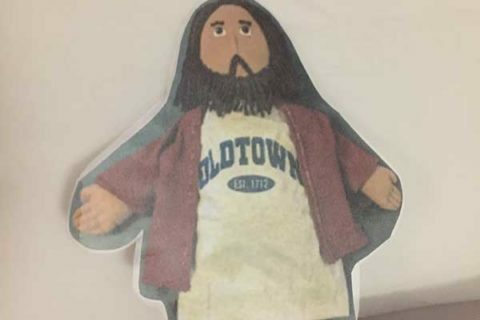 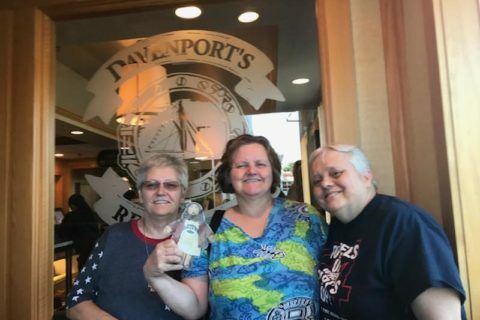 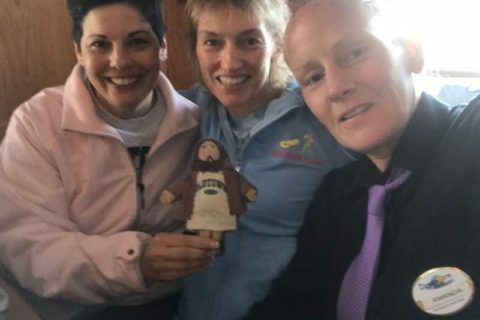 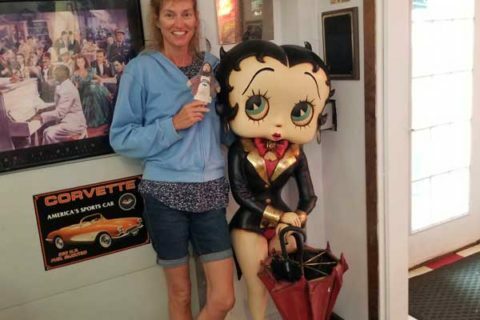 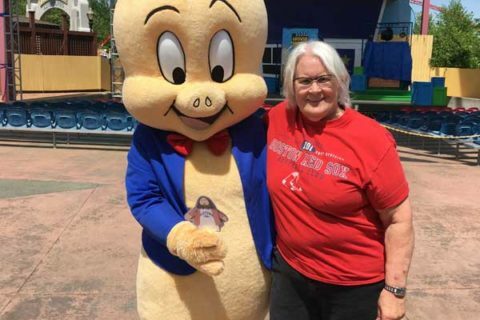 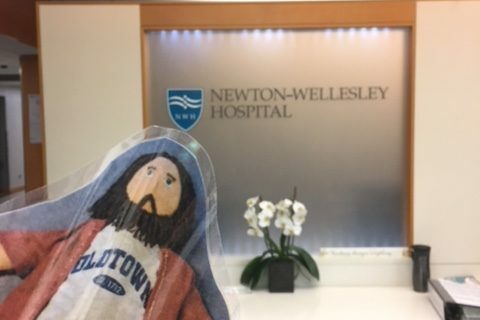 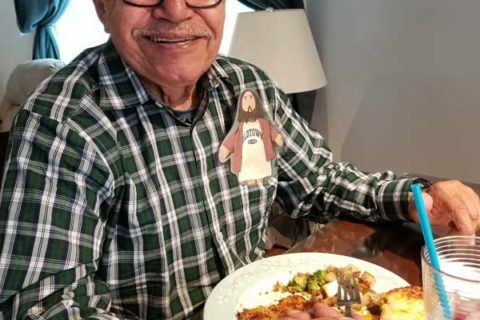 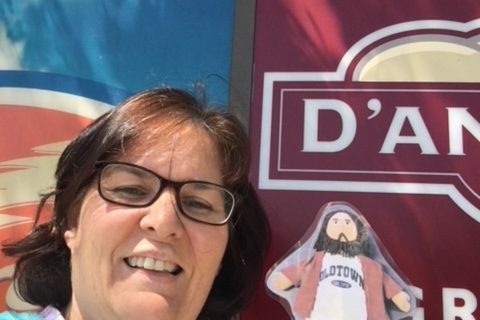 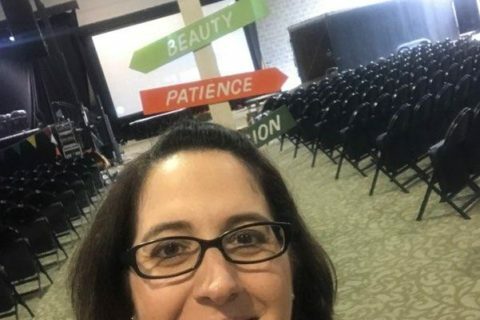 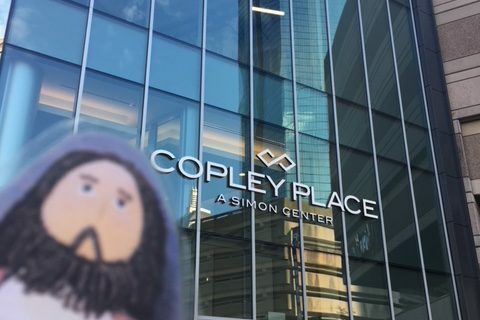 We’re asking you to take selfie pictures of you and your family and friends with Flat Jesus, and email them to us so, we can put them on our bulletin board and on our website and on our Facebook page. 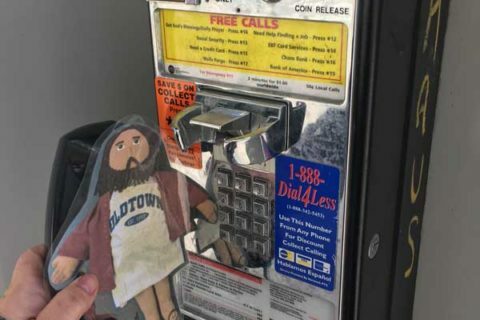 Flat Jesus actually has his very own email address, so it will be easy to remember. 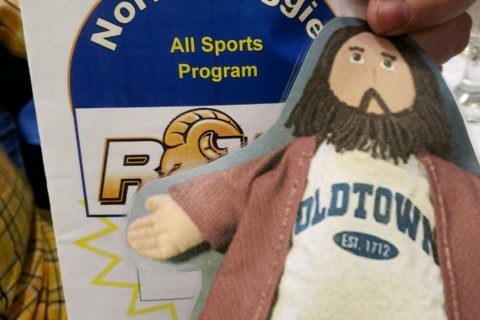 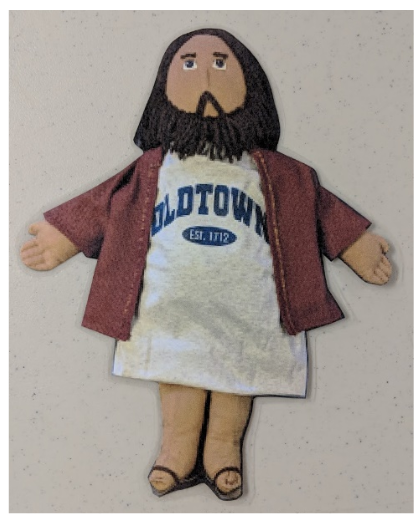 His email address is flatjesus@oldtownucc.org. 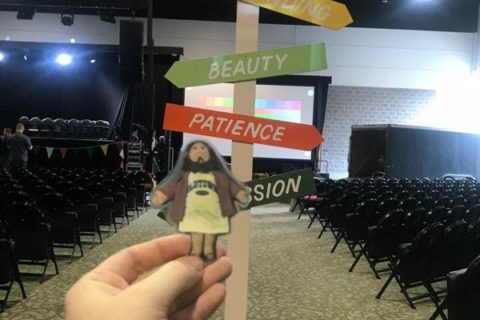 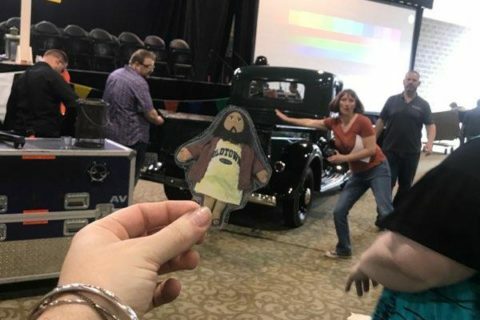 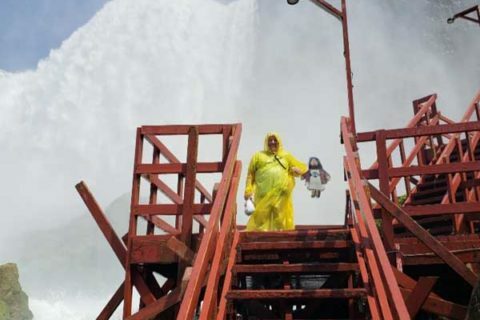 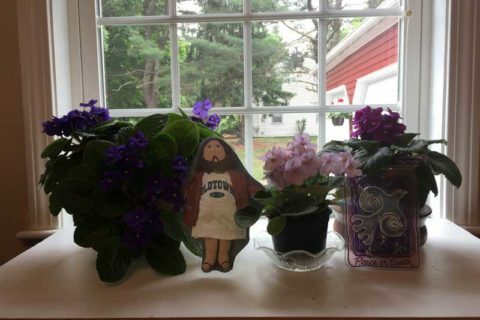 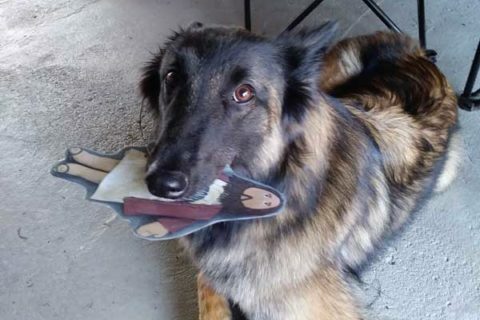 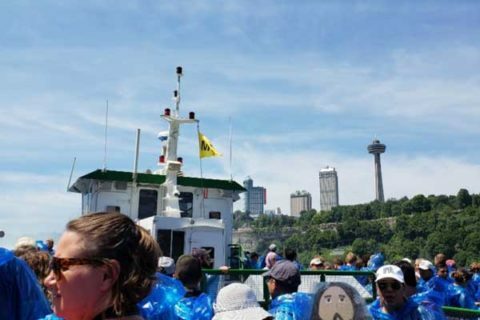 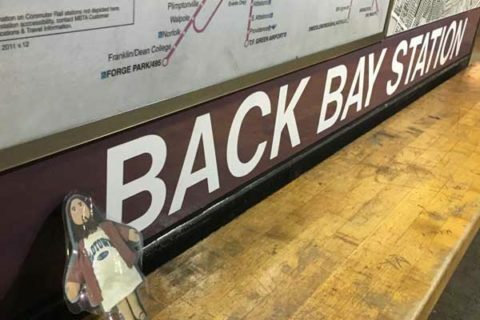 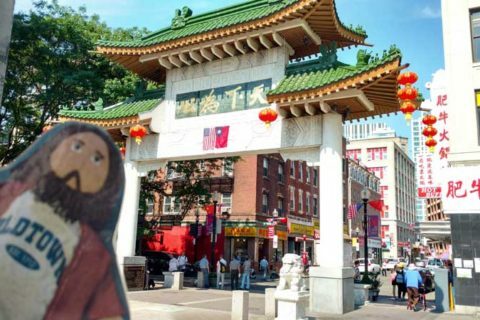 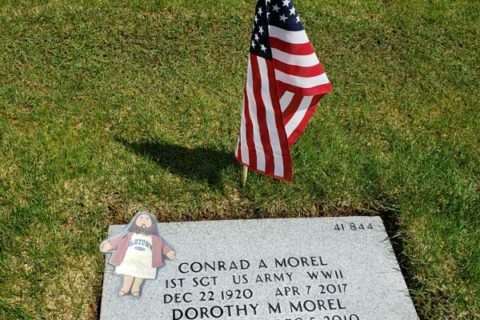 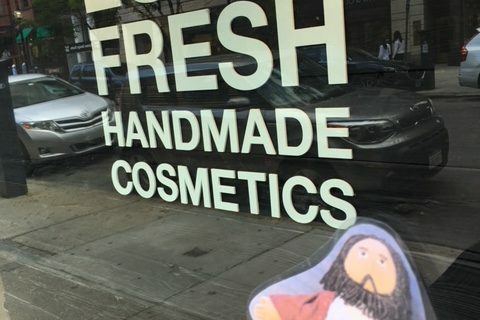 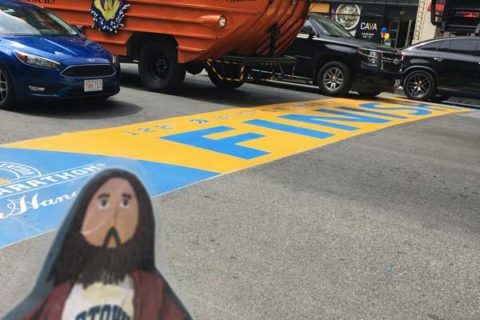 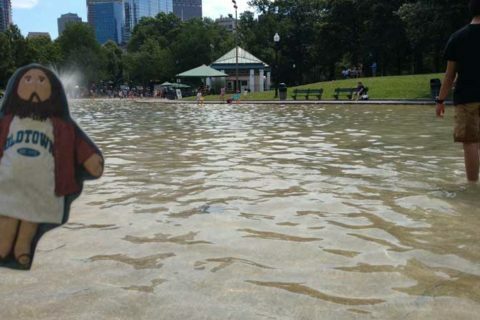 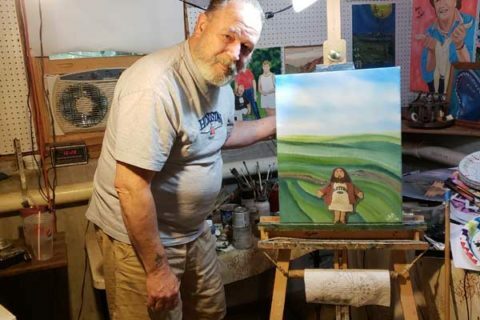 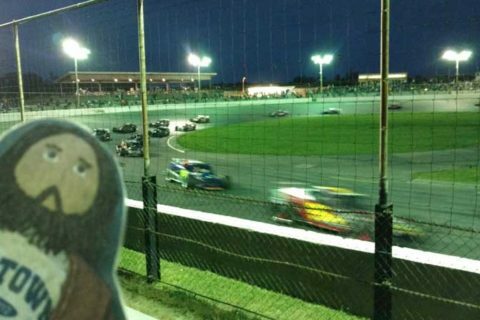 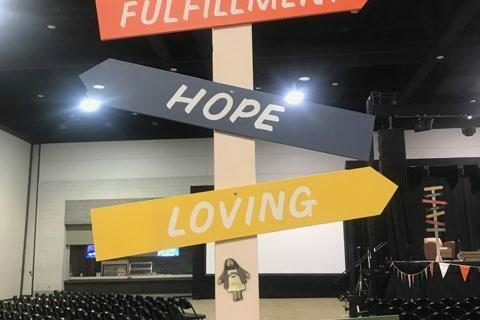 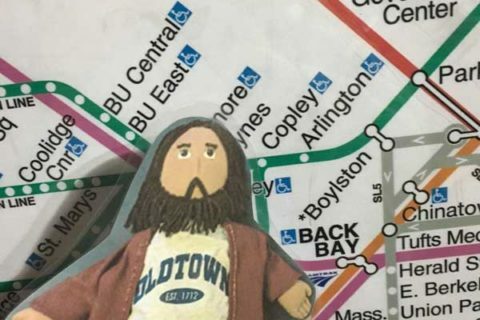 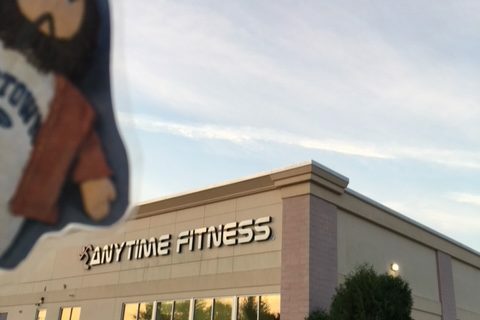 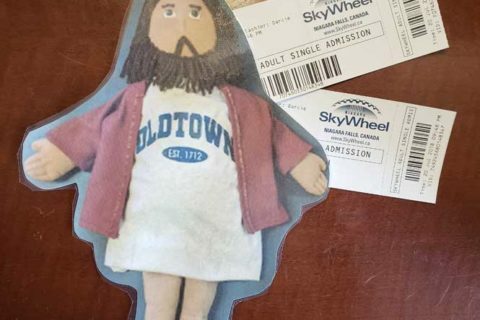 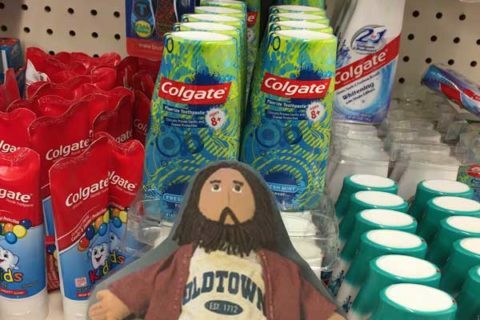 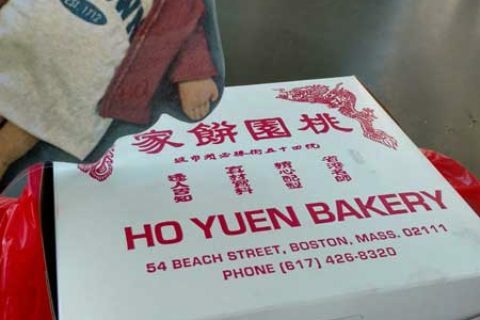 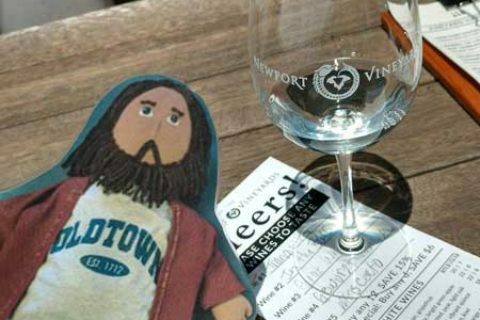 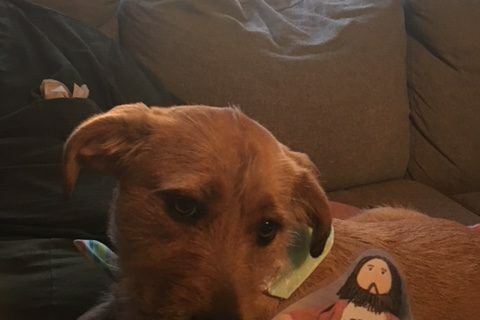 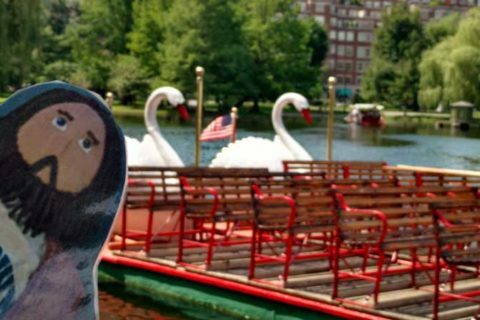 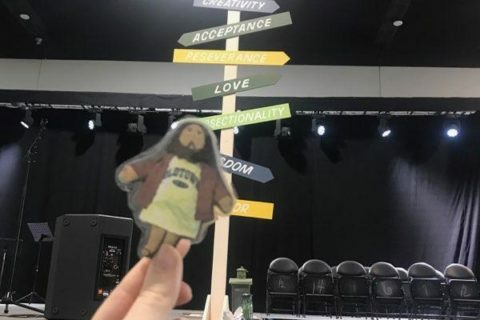 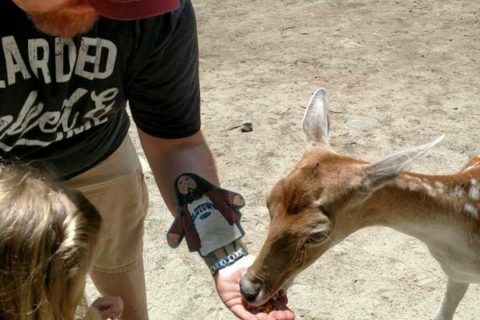 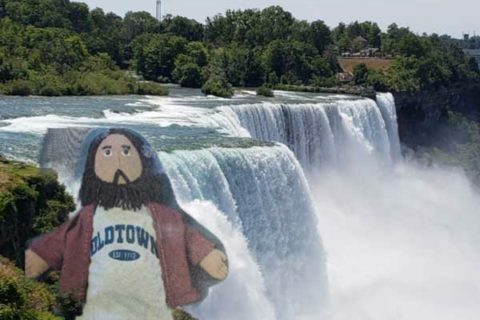 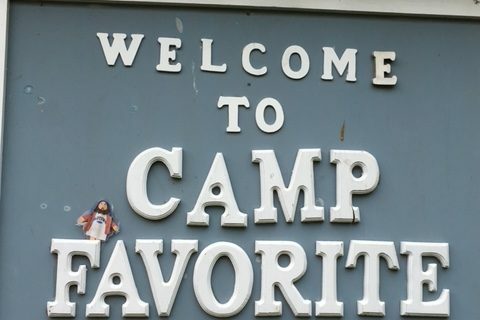 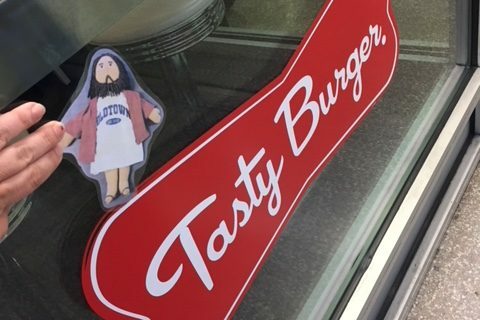 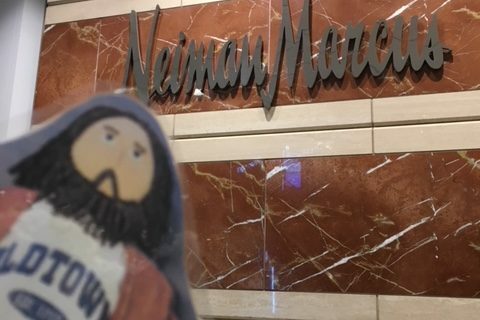 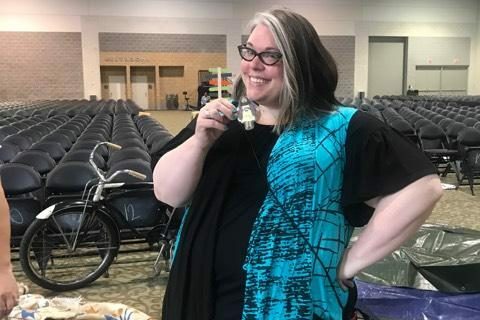 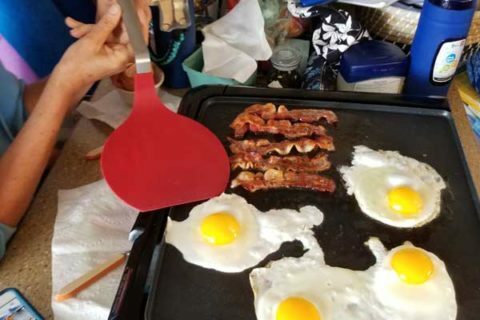 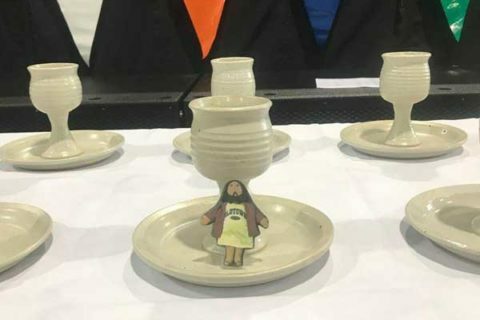 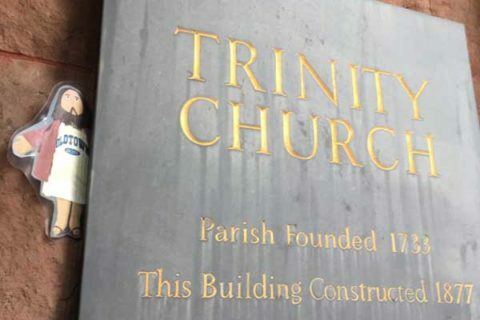 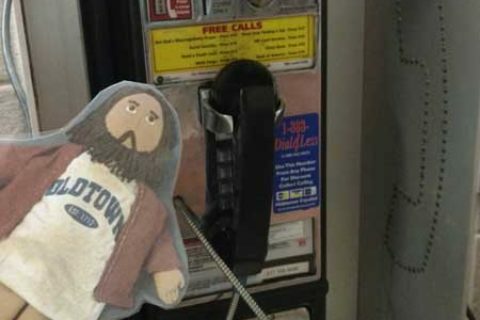 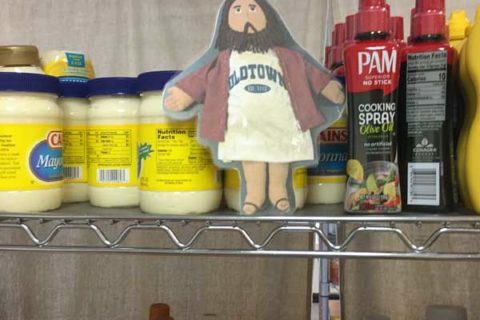 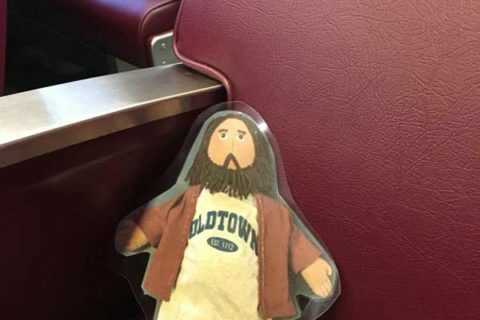 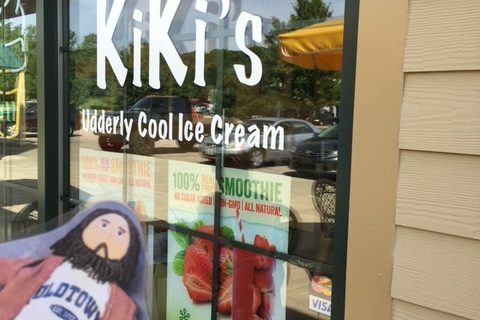 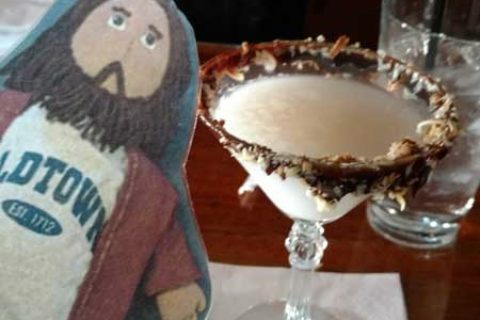 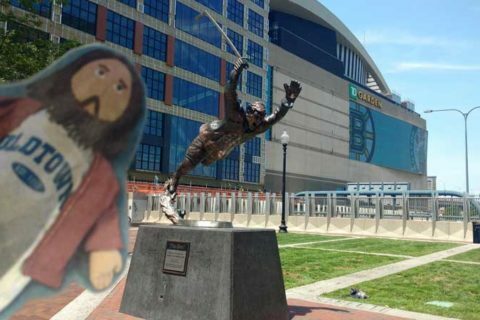 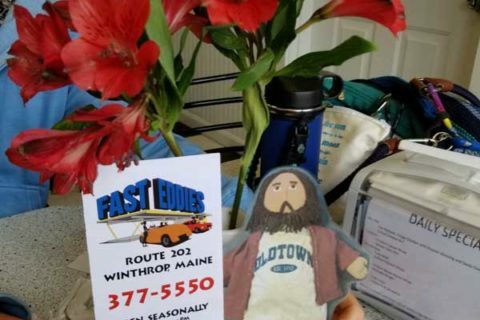 It will be fun to see where Flat Jesus goes, and what kinds of fun things he gets to do! 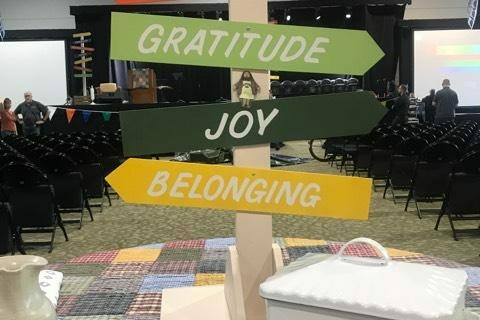 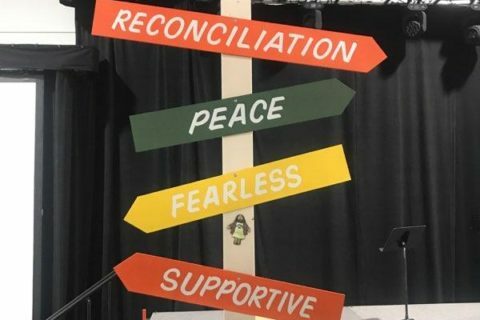 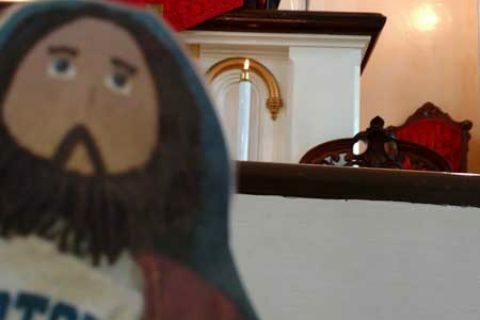 It will also help us to remember that Jesus and the Holy Spirit don’t just stay here at church all week, but that they are always with us, wherever we go. 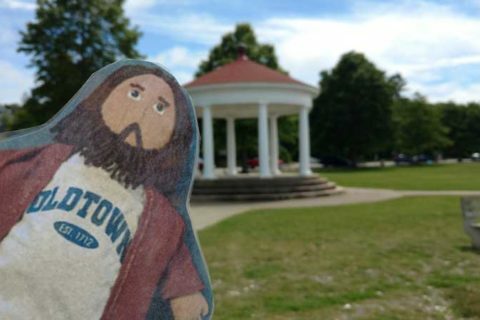 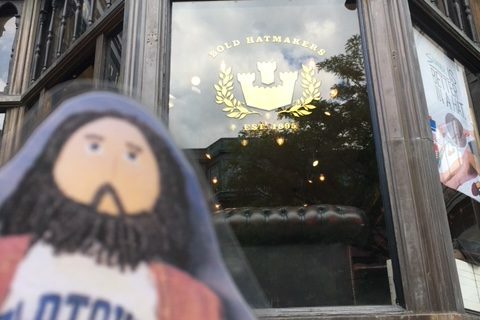 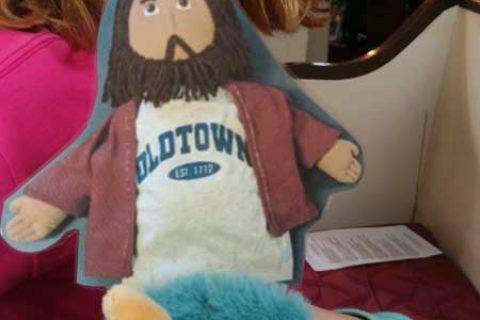 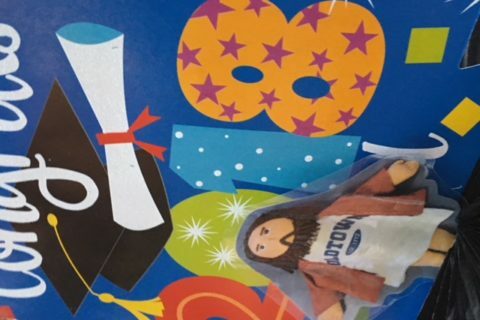 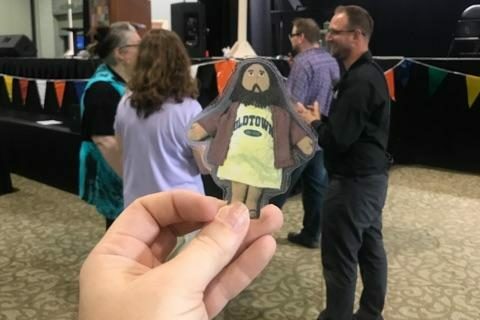 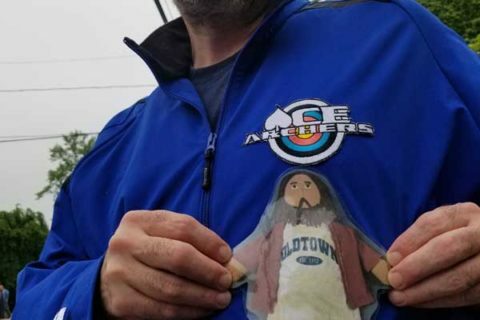 You just might find that Flat Jesus even gives you the chance to tell someone else about our church or about the stories of Jesus, just like the people did on the first Pentecost so long ago! 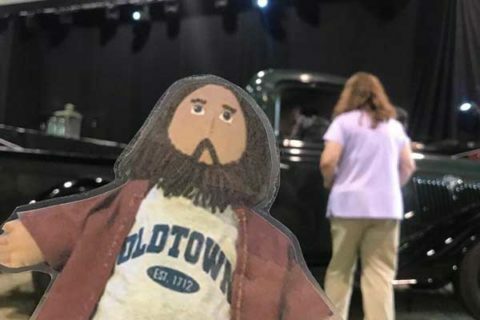 If you want to print your own Flat Jesus to take with you on your journeys, feel free to right-click on the image above and choose “Save as…” to save the image and then print it. 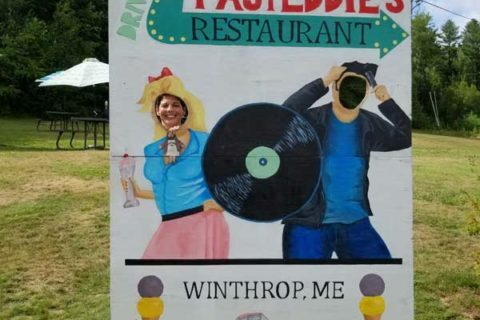 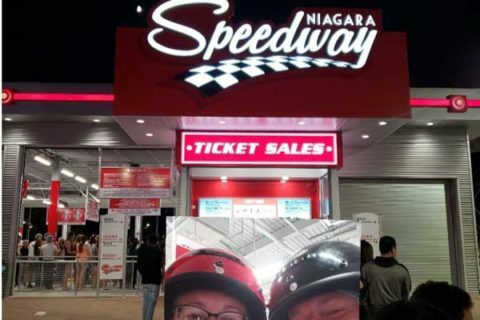 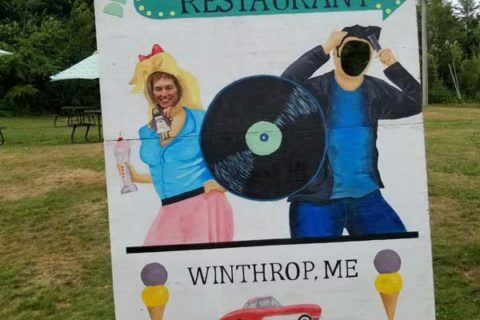 Don’t forget to send us your pictures!! 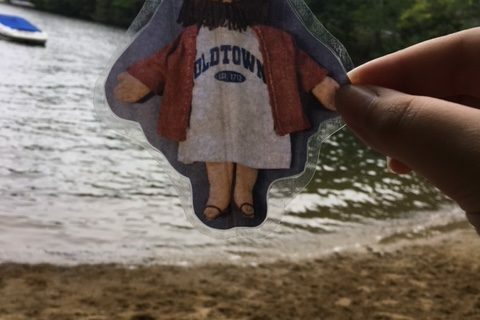 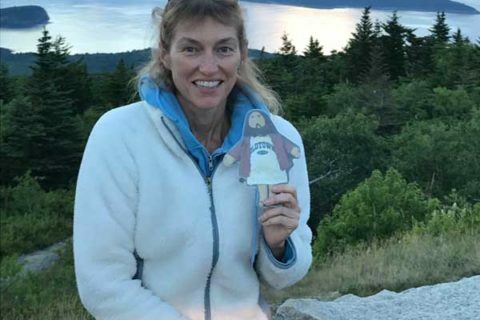 Flat Jesus enjoyed visiting Sand Beach in Acadia. 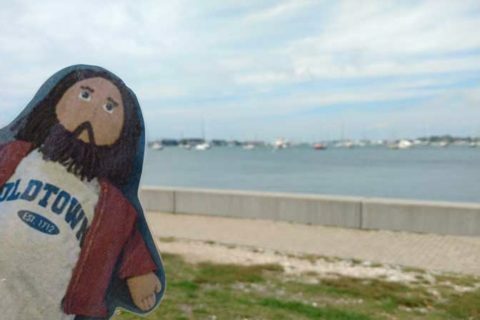 He loved seeing where the mountains meet the seas!